A smart digital receptionist that considers the decision points of admin staff to book valid individual and group appointments. It's designed to work side-by-side with staff in busy practices and includes features that prevent double bookings. Patients can also be given the option to cancel and reschedule their appointments based on your practice policies, at any time of the day. Customised with your logo and colour scheme to promote and build your brand, not the brand of a third-party booking service. Your patients won’t receive emails advertising the services of other health professionals, and they won’t be asked to complete surveys following their appointment. 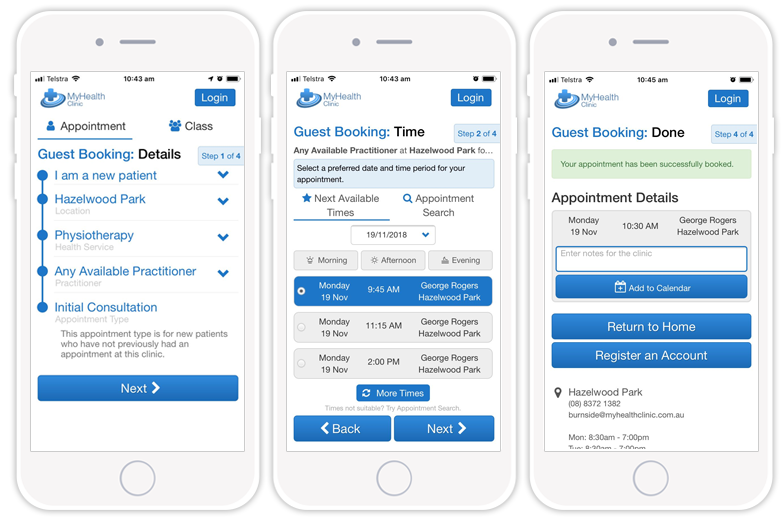 The best way to assess how the Patient Booking Gateway can work for your practice is with an obligation free, 30 minute online demo with our staff.